It makes absolutely no sense to purchase expensive Gore-Tex® apparel if you don't know how to keep your apparel in great shape. Take care of your Gore-Tex® apparel and your Gore-Tex® apparel will take care of you. The following are some helpful hints and tips to help you maintain your Gore-Tex® apparel. All Gore-Tex® apparel should be kept clean to maximize the efficiency of the apparel. Always read the instructions (which are sewn into any Gore-Tex garments) and follow the instructions carefully. If you treat your Gore-Tex® apparel with care, your apparel will last for a long time and will be efficient as the first day you purchased it. Most Gore-Tex® apparel can be machine washed in warm water with powdered detergent and tumble dry on medium heat. If you are washing kayaking apparel that has rubber gaskets (drysuit, paddling jacker, etc. ), you should wash the apparel in a bathtub. Wash the drysuit every once in a while with special soap made specifically for Gore-Tex or the drysuit. Never wash the drysuit with any other soaps or chemicals that were not specifically made for a drysuit. If you notice the inside of the apparel becoming wet, there might be a leak with the Gore-Tex®. You might want to call Gore-Tex® or the apparel manufacturer directly to try to find out what can be done to fix the leak. The leak might located at a seam or it might be due to the Durable Water Repellent (DWR) that is on the outer surface of the Gore-Tex®. As the Gore-Tex® becomes older and the apparel is exposed to the elements, the DWR can start to wear off. You should launder the Gore-Tex® according to the instructions that come with the apparel and iron it using a warm steam setting. Eventually you might have to use the spray-on or wash-in water-repellant treatment to keep the Gore-Tex® waterproof. 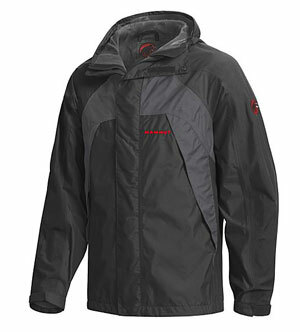 There are a number of wash-in products available for Gore-Tex®. Just make sure it is the right product for your kind of apparel and use the wash-in product as a last resort. Correctly washing the apparel and ironing the apparel will restore the water-resistance and breathability. Always check with the manufacturer of the apparel and Gore-Tex® directly before using any water-resistant product. If the apparel feels heavy, appears wet on the inside, occurs condensation on the inside, etc., it might only be due to the DWR coating being warn off. Always try to restore the DFR by washing and ironing or washing in the water-resistant first before considering replacing the apparel. Contrary to popular belief, the salt water does not alter or harm the Gore-Tex® fabric. Always wash the Gore-Tex® with a hose or in a bath tub after every use and the Gore-Tex® will last for a long time. You may spray the stain with an aerosol pre-wash treatment. Wash the apparel immediately in warm water with powdered soaps. If the stain is tough, consult with Gore-Tex® directly before attempting to remove the stain. If the Gore-Tex® is combined with silk, wool, etc., the apparel should only be dry cleaned. Do not dry clean any down apparel as the down feathers insulating properties will be removed. Have fun backpacking and don't forget to take care of your Gore-Tex® when you return from paddling.